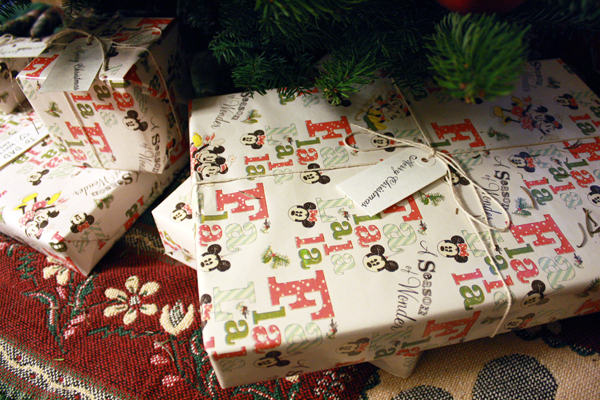 A Christmas tree full of presents underneath (only a few are for us). 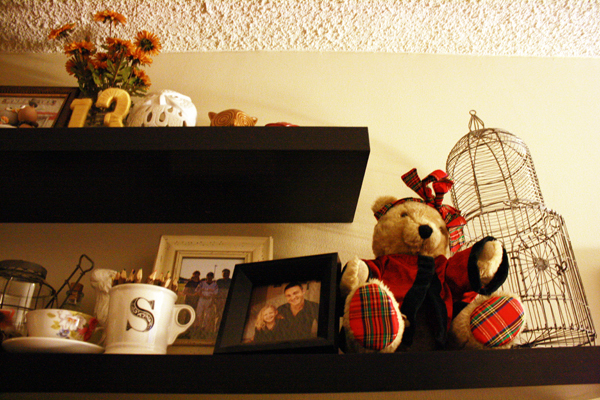 My “Merrily Bear” I’ve had since I was a little girl…resting high out of Kipling’s reach. 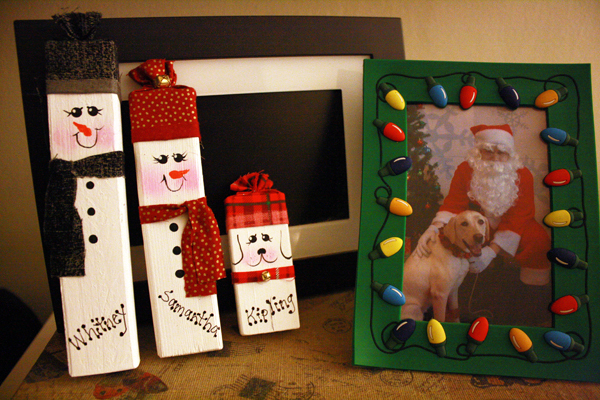 A new snow family we picked up while in Big Bear and Kipling’s Santa picture from last year. 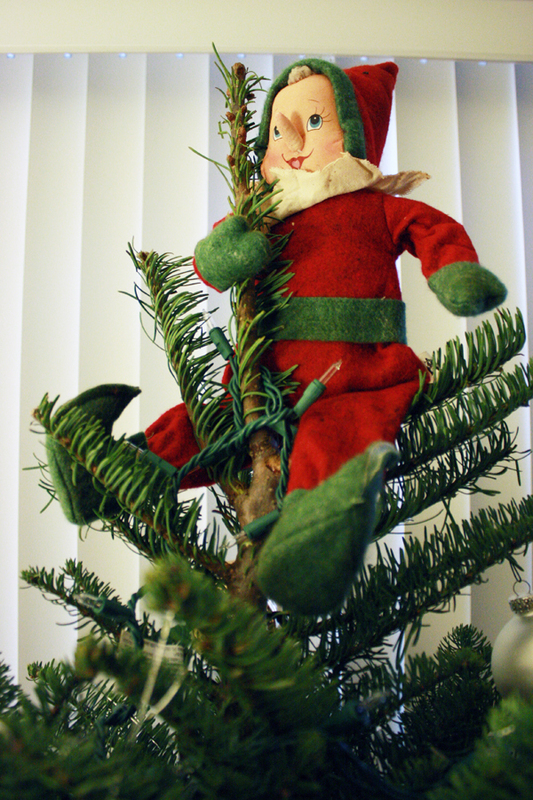 This little guy sitting on top of our tree (we don’t have a star). A very Christmas themed post, but Christmas is what makes me happiest!